District 57 Tapestry Singers senior singers, who will perform at All Saints on Friday, April 12. The Anglican Parish welcomes a vibrant youth choir to present a concert at All Saints By-the-Sea on Friday, April 12. Led by Carolyn Duerksen and accompanied by Maureen Nielsen, the senior group of the District 57 Tapestry Singers is comprised of grades 8 to 12 students from Prince George. Their Circle of Friends concert, which begins at 7 p.m., includes selections ranging from contemporary to traditional genres. Repertoire includes familiar melodies such as By the Rivers of Babylon, And So It Goes, A Thousand Years,We Rise Again and Vivala Musica. According to press material, singing a wide range of musical styles is a focus of Tapestry’s program, along with the development of music skills and musical understanding. The District 57 Tapestry Singers also performs as a larger group with its younger members. 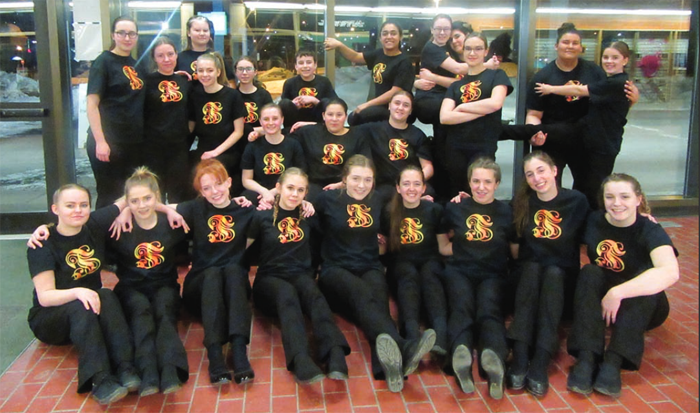 They sing at sporting events, collaborating with local choirs, performing together with the Prince George Symphony Orchestra and drumming with The K’hastan Drummers. The senior group members have also travelled to music festivals in other provinces and in the U.S. These experiences have allowed Tapestry to sing with their peers in many different venues and to work with well-respected choral clinicians, resulting in many awards.